The New Year came with the storm of “JEE Main 2019” in January. The online application form for the same has been rolled out from September 2019 with the curiosity of the aspirants taking a troll of their patience. The JEE Main being the central criteria for getting admissions into top institutions in India, students are gearing up and so are the coaching institutions as well. The National Testing Agency (NTA) has taken the responsibility of conducting the JEE Main 2019 paper on four consecutive days i.e., 9th, 10th, 11th and 12th of January, 2019. The examination is termed to be conducted in two different slots. The first slot will be held from 9:30 am-12:30 pm whereas the second slot is lined up for 2:30 pm- 5:30 pm. The NTA will conduct the examination twice a year wherein the paper 1 is completely computer-based and paper 2 is partially computer based and partially pen-paper based. The first phase of examination was conducted recently on 9th of January, 2019 which has received a mixed reaction from both students and the coaching institutes. Let us explore the analysis of the recent occurrence in the next section. As per the comparative analysis with 2018, the cut off marks for JEE Mains was 74 for the general category students whereas for OBC it was 45, for SC it was 29 and for ST it was 24 marks. 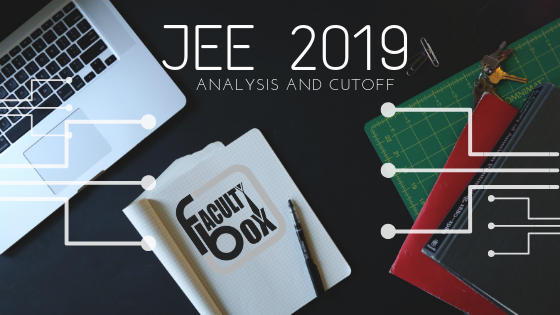 The JEE Mains 2019 which was recently held on 9th January might incur a higher cut off than 2018, according to the industrial expert who is working with FITJEE. The prediction specified by the expert for 2019 JEE Mains is approximately 80 or more for general candidates and similarly slightly higher for other candidates as well. JEE MAIN 2019 EXAM PATTERN: A total of 90 multiple choice questions (MCQ’s) are included in the question paper from all the three sections of Physics, Maths and Chemistry. The maximum mark is calculated to be 360. The aspirants will get another chance for appearing in the examination is in the month of April, 2019. Manage the daily routine. Allocate equal time for all the subjects. Be thorough with the NCERT books. Always refer standard textbooks. Be goal-oriented. Try to fulfil the daily target and revise simultaneously. Download and prepare previous year question papers as well. These “Things-to-do” list will act as a motivator and will surely help an individual to achieve their destinations.